As a mother, I've seen my kids -- Gracie and Graydon -- grow and develop as students and athletes. But when they became great at cross country recently, I had to stop and think. I'm often asked the question, "What it's like to have two extremely competitive runners?" Well, there's no question what my role has been over the years. I'm supportive of their interests and I do my best to encourage them to pursue their goals and aspire to be better than they were yesterday. There's no question that cross country has become a passion for them. But the sport has changed for them in recent years. Until high school, they only ran summer track. Back then, practices started around 6 PM in the extreme heat, and they would go until around 8 PM. After both of them qualified for the Junior Olympics, we turned to another coach, Eliud Njubi, to help them progress even more -- their summer coach, Lupe Torres, only coached track in the summer as a volunteer. Our original plan was to only train with Njubi for a few weeks to prepare them for the Junior Olympics in Albuquerque, New Mexico, but three years later we're still training with Njubi. And from the beginning, there was an instant connection between the kids and him. I've always told Gracie and Graydon, "There is no way you could make someone go out and do what they do if they didn't love it." They understand that it takes a lot of time and dedication, and they know if they want to continue to grow, they're going to have to commit themselves even more with each passing day. Sometimes, that confuses their friends. We laugh when their friends ask them questions about the sport. Some of them aren't sure if they have any free time. "No thanks, I've got practice" or "I've got a meet in the morning!" Some people tell them they are missing out on "teenage things," but we just don't see it that way. 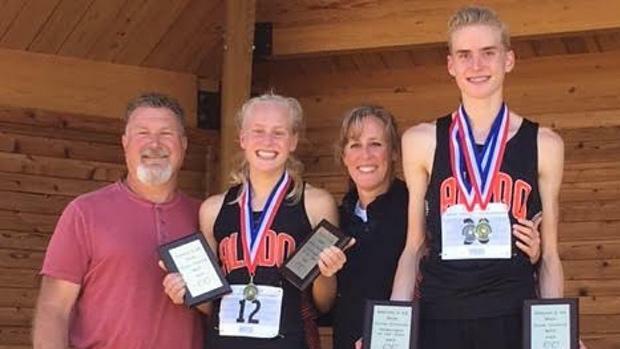 Both Gracie and Graydon do have a small, tight-knit group of running buddies that they practice with all the time. The group often sees running as their social time. Through the years, we've had ups and downs, too. We have had times when one is having more success than the other. As a mother, trying to be there for both can be challenging. You turn to one to tell them what an awesome job they just did, but you also have to adjust to the other, telling them or nodding (to them) that they didn't do as well as they would had wanted. A year ago, for instance, Gracie and Graydon both competed Foot Locker South and they both did amazing. Gracie was 23rd overall as a freshman! 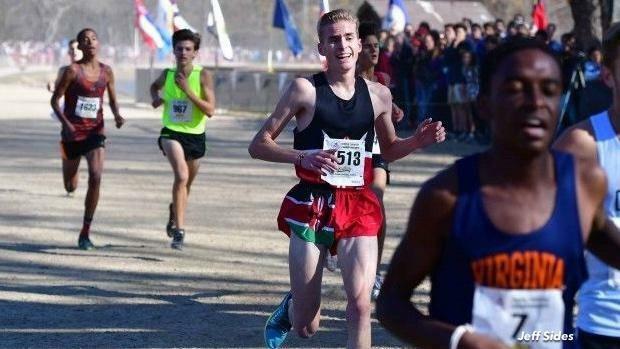 But the minute she saw Graydon finish, all she thought was, "My brother got a top-10 finish," which meant that he was going to San Diego for Foot Locker Nationals. And when we got there, she had to watch as he was treated like royalty and was able to rub shoulders with Olympians. As a mother, it was hard for me to watch. But I'll never forget the moment she had with Brenda Martinez, another Olympian, who told Gracie that weekend, "You are just a puppy," which meant that Gracie had all the time in the world to get back there again. We've ultimately tried to raise all four of our children to be strong and independent. We tell them not to quit. And we don't judge them by what they accomplish one day, because we know there's a better one coming up. In the overall scheme of things, I have to remind them that one race won't determine their future. I tell them, "It's not that big a deal. There will be lots of other races. Tomorrow will be different than today." And so when they walk away from a bad race, they know there's always a different result in store for them in the future. At the end of the day, they take away a positive lesson. Keep at it. Keep working. If you stick with your passions, you will find success. I've always encouraged them to make their own choices and I tell them, "I'm here to guide you, not control you." I like knowing that when I'm not around, they're still going to make good choices. And they learn what they would do differently when they compete again. They know what they need to work on in practice. As I've seen them mature over the years, I've learned that they have more drive and dedication than most adults I know. My husband and I always tell them that we will do everything in our power to help them achieve their goals. We've always tried to make them understand that running will not define them. It's what you do as a person that defines you. Gracie and Graydon are best friends and they have a tremendous amount of respect for each other. They experience each other's success, and they feel each other's pain. When one is struggling, the other has a hard time celebrating their own victory. As parents, we're constantly asking ourselves if they are getting the training and attention they need, because they set some pretty lofty goals for themselves. But I know that we also live in a community surrounded by an amazing group of friends and coaches, and I truly believe my children's best interests are at heart. You know the saying, "It takes a village"? We have an awesome village.